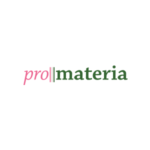 Since 1999, Pro Materia Association has developed through more than fifteen years of experience a recognized international design expertise, especially in the European Union ‘Culture’ programme, today known as Creative Europe. It has conceived innovative projects ‘from the scratch’ such as Human Cities on reclaiming public space through a human-centered approach of design (since 2006), and Glass is Tomorrow, on design-led crafts leading to reinvent glass art in Europe (since 2011). By creating cutting-edge concepts, which are highly human-driven and collaborative, Pro Materia is cultivating the art of putting people together within a framework, rather informal, freestyle and co-creative (workshops, creative labs, exhibitions…) By stressing the relationship between disciplines in the visual and applied arts and their cultural added value, the Brussels-based Creative Design Agency is moving forward, looking at the future, at the emerging and upcoming talents, curating events and editions with a high sense of quality and awareness towards artistic contents.